NEW YORK (April 7): US stocks dipped in volatile trading on Friday morning as a disappointing US jobs report added to investors' nervousness following a US missile strike on Syria. US employers added about 98,000 jobs in March, the lowest in 10 months and well below economists' expectation of 180,000. The report from the Labor Department was an outlier among a spate of recent positive economic data. Financial stocks were hit the most. The S&P 500 financial index was down 0.4 percent, led by banks. The United States fired several missiles late on Thursday at an airfield in Syria from which a deadly chemical attack was launched earlier this week. That news of the attack sent global stocks lower, with the S&P 500 futures index falling as much as 0.5 percent. But most of the losses were pared back after US officials described the attack as a one-off that would not lead to wider escalation. "You are still at all-time highs and a disappointing headline number gives them (investors) a reason for a quick knee-jerk reaction like that," said Sean Lynch, co-head of global equity strategy at Wells Fargo Investment Institute in Omaha. "But it wouldn't surprise me at all if we gain a little momentum back because this number doesn't portray an economy that is in trouble or slowing down and investors will start to look through that." 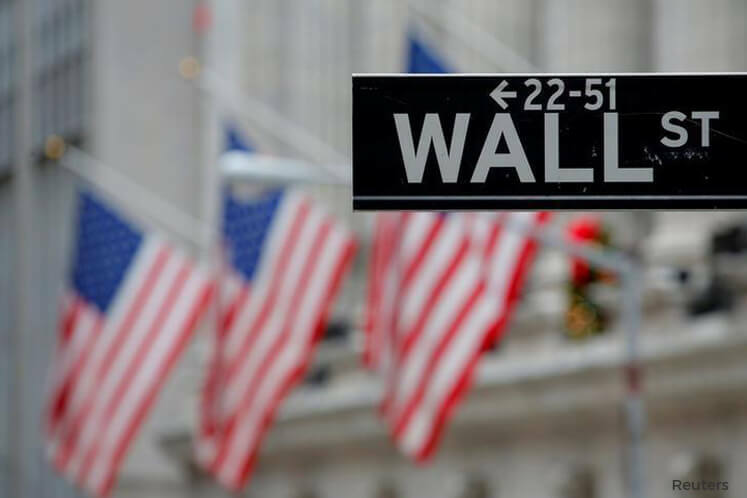 At 9.56am ET the Dow Jones Industrial Average was down 31.67 points, or 0.15 percent, at 20,631.28, the S&P 500 was down 4.09 points, or 0.17 percent, at 2,353.4 and the Nasdaq Composite was down 15.16 points, or 0.26 percent, at 5,863.80. Defence stocks jumped on news of the US missile strike. Raytheon, which makes the Tomahawk cruise missiles used in the strike, was up 3.1 percent. Lockheed Martin was up 1.4 percent. Declining issues outnumbered advancers on the NYSE by 1,549 to 1,052. On the Nasdaq, 1,595 issues fell and 764 advanced. The S&P 500 index showed eight 52-week highs and no new lows, while the Nasdaq recorded 23 highs and 14 lows.